October 6th, 2014 | Faces of Wheaton. 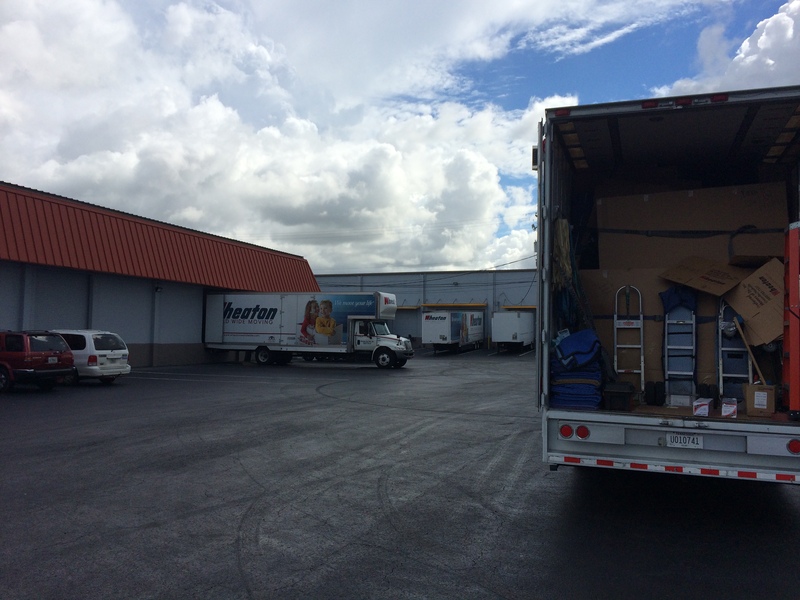 Loading a shuttle truck in the heat and humidity of Tampa, Fla. is a maddening process. In your mind, you know that what you’re doing is simply the same — exact – thing you just did at origin in terms of reloading the truck. And in this case, we needed a shuttle at origin too. But mind over matter is the name of the game. And once we parked the big rig in the lot of AAA Moving & Storage and pulled up the shuttle truck, we started the transfer like it was a new job. We had pulled into town that morning and the folks at AAA were waiting for us to get started, including Roger Thompson who was our primary loader and arranged the majority of the items we transferred from the big truck to the little one. I was already anticipating the fact that I would be more participative as we got closer to final delivery – I had learned a few things along the way and I knew Bob would let me do more. I was right, and the sweating started like a waterfall. About two hours into the process, the skies opened up and a steamy rain soaked the parking lot, not cooling off anything, but made our efforts like operating under water. When the rain slowed down, a vote was cast (I wasn’t there for the vote) and I was elected to get lunch across the street at a food truck parked next to a junk yard. 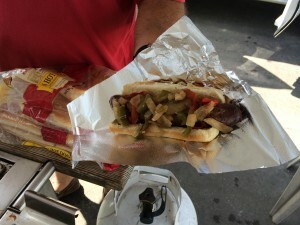 While this blog was intended to be about moving, I’m going to take a side track and tell you about the best Italian sausage I’ve ever had. Victor, the owner of the food truck piled on the onions, peppers, sauerkraut, ketchup, mustard and whatever else your heart could desire. He told me people come from miles around to pick up his sausage to put in spaghetti or other dishes because it’s so good. We were in food heaven – never mind that it felt like 100 degrees outside. Nothing stops me from eating. Clearly. We took a break to eat and then got right back to loading the shuttle truck in preparation for final delivery the next day. We agreed to meet back at AAA at 7 a.m. and then head to our customer’s new home to unload. I was anxious to finish the job, but knew I was in for a workout. Loading a shipment to a shuttle at AAA Moving & Storage in Tampa, Fla.
On the Road with A.J. is a blog series written by Executive Vice President of Wheaton World Wide Moving, A.J. Schneider as he travels across the country with truck driver Bob Krumpols of Preferred Movers of Nashville, Tenn. 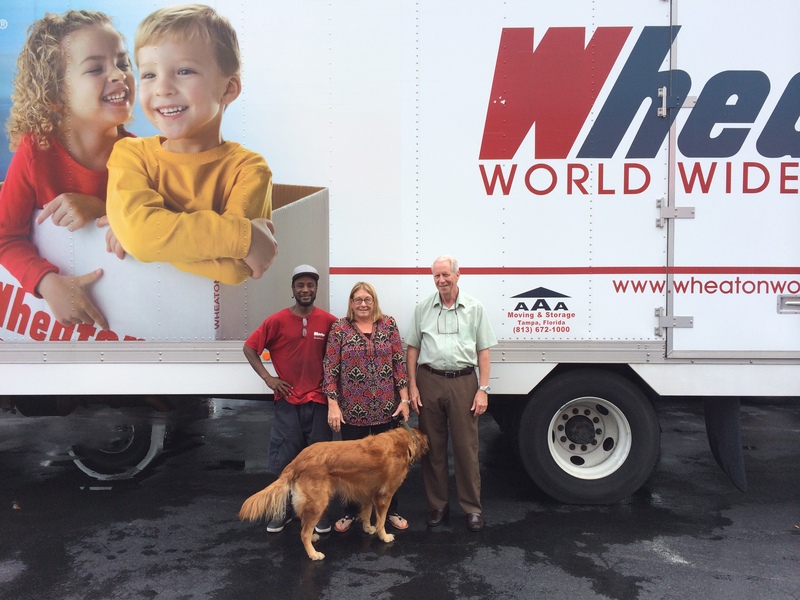 He will be experiencing life on the road while assisting with everyday interstate moves. 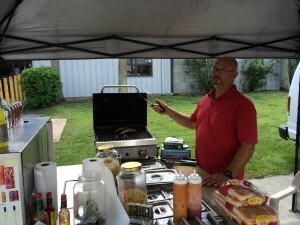 Follow A.J.’s journey on the Wheaton World Wide Moving blog, Facebook page and Twitter page.